NORTHFIELD, New Hamp. 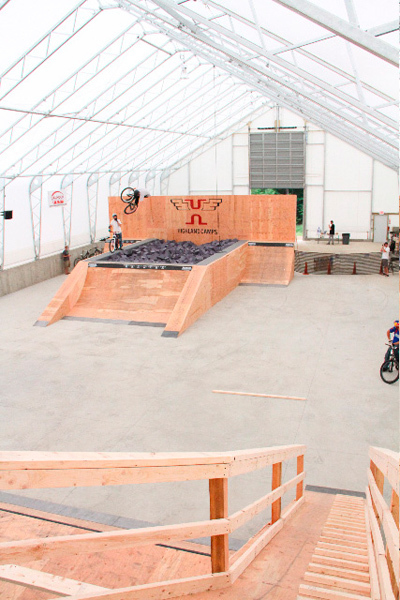 (derailedonline.com) - Phase 1 of the Highland Training Center (HTC), a 9,100 square foot Super Structure nestled at the base of the Nations Premier Mountain Bike Playground, Highland Mountain is now opening its doors to the public. Highland opened the doors to top pros during the Claymore Challenge just last week. Cameron McCaul, Tyler McCaul, Darren Berrecloth, Aaron Chase, Adam Hauck and George Ryan test rode the park and ensured that the HTC was ready for its debut. 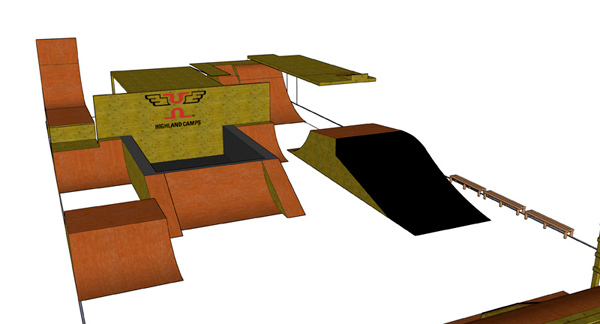 Phase 1 of the project includes a 14 foot roll in to a 16 by 26 foam pit, wallrides, and quarter pipes. The HTC is the doorway to the future of Highland Mountain and if you know owner Mark Hayes, you know this is just the beginning. The Highland Training Center will offer riders unlimited opportunity to take their skill to higher levels. It was built to help riders progress safely while pushing limits in a controlled environment. We are catering to all riders from the first timer to the most advanced pro, were building a park for present and future generations. Our mission is to grow the industry and the HTC is our answer for helping us meet the challenge, explains Hayes. The HTC was built to support the Highland Camps programs by allowing riders to take a natural line of progression in learning how to ride. 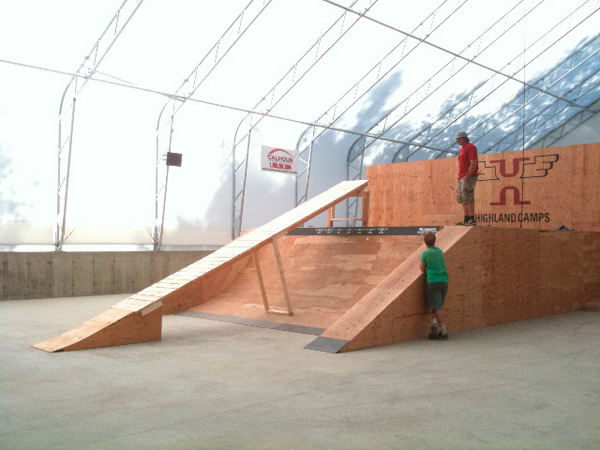 Designed by pro freerider Dave Smutok, the ramps in the HTC mimic the features on the mountain. We have multiple ramps that click in on the foam pit that are the same dimensions as a lot of the jumps of the Claymore course, explains Smutok. We just finished the infamous Cannon Log attachment, so riders can try riding off something big into the foam pit, then take it to the slopestyle course. The HTC will be open daily through July and August with one session per day from 2:15-5pm. The cost is $10 per person with a 20 person session maximum. To reserve your spot email the highland team at htc@highlandmountain.com, call Highland at 603-286-7677 ext. 111 or visit the front desk in person. Construction of Phase 2 of the super structure is underway and will open Labor Day weekend and will include a foam and resi drop as well as a euro quarter and box jumps. Continue to check www.highlandmountain.com for the HTC schedule once Phase 2 opens. For more information on Highlands HTC or Highland Camp programs, visit www.highlandmountain.com or follow us on Twitter @highland_mtn. Posted on Aug 2, 2010 13:11:20 -0400 by Brady.